You may make three smaller payments of $90/each. Each payment is due at the beginning of Jan/Feb/Mar or May/June/July or Sept/Oct/Nov depending on the session. Tickets to the show are $5-$15 Depending on the show. Taxes and processing fees apply. Auditions will be during class on January 5 from 10:00-12:00. Students should stay for the whole class. We prefer that parents drop off and come back for students. Read below (in red) to know how to prepare for your audition. Students who join after Jan. 5 will most likely be placed in the ensemble. Everyone who auditions will have something to do in the play. 3) Auditions for "All Shook Up" only last about 10 minutes on Sunday, January 6th at MSDW. Plan to stay with your non-driving child. K-8th Grade Students should plan to come to the Main Street Dance Works Studio to audition. Be prepared to sing a Broadway song of your choice. You may provide accompaniment but it is not a requirement. We will not have time to hear the whole song from beginning to end. Be prepared to match pitch with a "C" scale. If time allows, there will be a movement audition. If time allows, we may ask you to read text. We will provide that. The last audition date is January 6 at Main Street Dance Works. The audition will probably take 10 minutes if we are on schedule. Prepare a Broadway song of your choice. You may bring accompaniment in MP3 format. No pianist will be available. You may sing a cappella. You will be asked to match pitch with a scale. You will be asked to read a selection of text. We will provide that. There may or may not be a movement audition. K-8th grade classes meet on Saturdays from 10:00-12:00. There may be a few extra practices closer to performance time. Students in the troupe will work together to produce a 60-minute play . 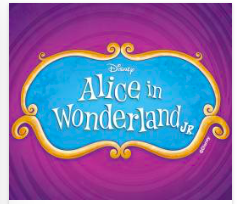 Students in grades 6th through 12th will produce a musical. Practice times are Sundays from 2:30-5:30. There will be some Wednesday evening practices closer to performance time. The following information is for male students in grades 6th-12th grade who have never taken classes through Theatre Street.